Haggling can help your sales. When it becomes difficult to predict economic shifts and appears practically impossible to count on buyers to have plenty of spending money, one thing you can expect is that shoppers will be more motivated than ever to bargain over your selling prices. Look, sometimes they're in a financial bind and really need to stretch a dollar. Even if what they want from you is an indulgence item, they still need to feel they've gotten a great price to avoid buyer's remorse. The good news is that haggling with your buyers can actually work in your favor, boosting your sales and even resulting in getting spend-wary shoppers to spend even more. Here's what you need to know about haggling in the online realm and how you can hone a method that welcomes shoppers who want to talk turkey. If you have just one eye open to the economic news these days, you know people are unemployed, underemployed and underpaid. It's a terrible trifecta, but it is what it is. You can empathize with your shoppers by offering them things they can afford and, more to the point, allowing them to tell you what they're able to pay; that's where the invitation to haggling comes into play. Astute sellers give some of the price control to buyers, giving them the opportunity to influence a purchase price. This doesn't necessarily mean you'll need to give away your goods. Rather, you'll be able to engage in a different fashion that acts as a draw to your online store or hosted-site listings. In essence, it works as an empathetic way to open a possible transaction with buyers. So what are the mechanics to inviting the haggling? The most obvious is listing goods for sale at online auction venues using the "best offer" option. While you might think you'll have to settle for offensively low offers, the truth is there's not much difference in this method than there has been with traditional ascending-price auctions and reserve-price protections. You allow the best offer to be made, but you're still in control of accepting any offer made. You control establishing the initial valuation. There's power—a lot of power—granted to the one who sets a starting price. It's the beginning of the selling conversation, and it indicates to prospective buyers where you value an item. They can then make their best offers around your starting price, but if they offer too little, they risk the opportunity to buy and own the item for sale. Psychologically, you have the upper hand in the negotiation provided you established that opening price reasonably and founded on current market value. You control the terms of the sale. Even if you agree to a price that's below your original asking price (and, in the case of accepting best offers, that's what you'll end up doing), you still control the terms of the sale. Some sellers complain that best offers often come with annoying terms the buyer would also expect (free shipping, for example). Again, if you get an offer that you believe is unacceptable… well, don't accept it. You have that power. You control whether you'll accept a best offer. As just noted, you can agree to or decline any offer. It's in your best interest to offer goods that allow a best offer sale. It is, after all, the reason you're doing this in the first place. You want to open a transaction with a buyer, one who will hopefully return for more goods at your regular prices. You have the power to push back but, if you can agree on a selling price, you then have the power to persuade the buyer to consider more purchases. Remember that online auctions were built upon the premise of allowing bidders to set the price for an item. That was the big attraction to "auction mania," and it became the compelling—practically irresistible—allure of bidding and buying in a whole new way. And if you didn't trust how the "market" might value your goods, you placed a reserve price on an item to protect your own investment or valuation of the item. Best offer selling works in much the same way as the traditional auction method, except you're not required to sell the item if you don't like any of the offers proposed. The most important aspect of the best offer approach, however, is it works to attract prospective buyers to you and your goods—that's key to sustaining and growing your sales. You need fresh buyers every day. 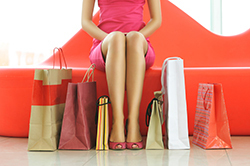 So give the best offer option a try (or two, or more) as another way to attract shoppers. Remember, they're out there looking for bargains, and not always steals. Most of the reasonable buyers you'll attract will jump at a deal but will also expect that other goods wouldn't be so negotiable. If you can bring them over to you with a best offer temptation, you might be able to keep them around to be intrigued by the other goods you have to offer. Treat them well and they might just stick around. And that might be the best offer you'll enjoy!